We wanted to incorporate feature lighting into this striking modern kitchen, but with no wall units on this side of the room we had to think outside the box. 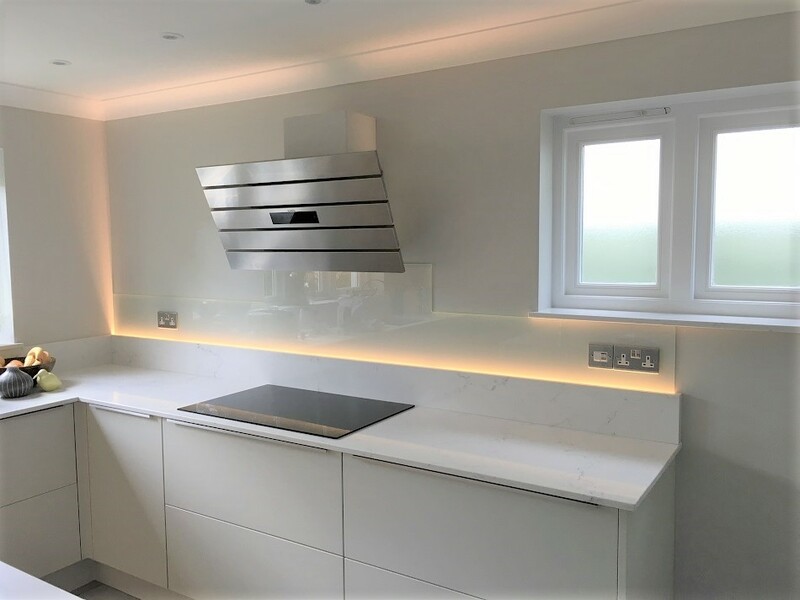 By fitting deeper drawer units and worktop along this wall, we were able to fit recessed LED lighting behind the upstand to create this stunning feature. A clear glass splashback helps to accentuate the effect and refract the light. The upper drawers in this design are fitted with sleek top-fitting Aluminium handles, and cover the concealed internal cutlery drawers. The lower drawers are fitted with Blum push-to-release mechanisms for a clean, handleless look.